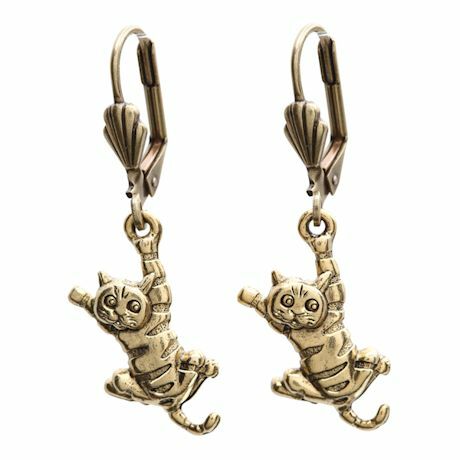 For someone who loves kitty hijinks- or who has mastered the fine art of hanging on. Cast to capture dimension and playful detail in base metal with a non-tarnishing bronzed finish. USA. Hypoallergenic leverback ear wires; Hangs 1½" overall.